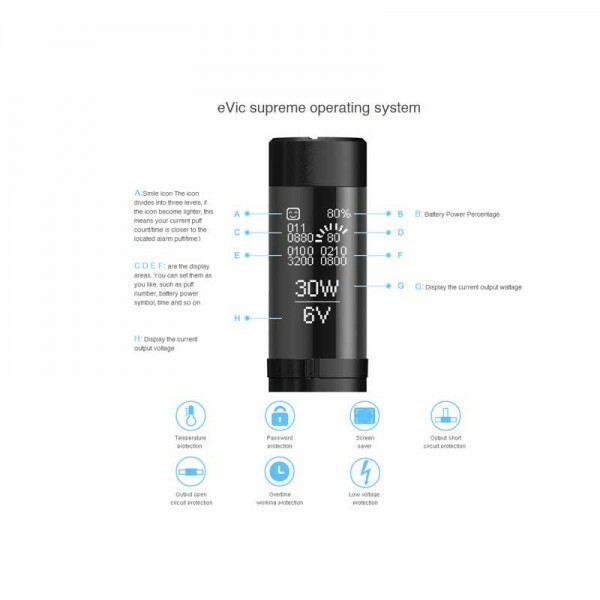 Joyetech eVic Supreme Control Head. 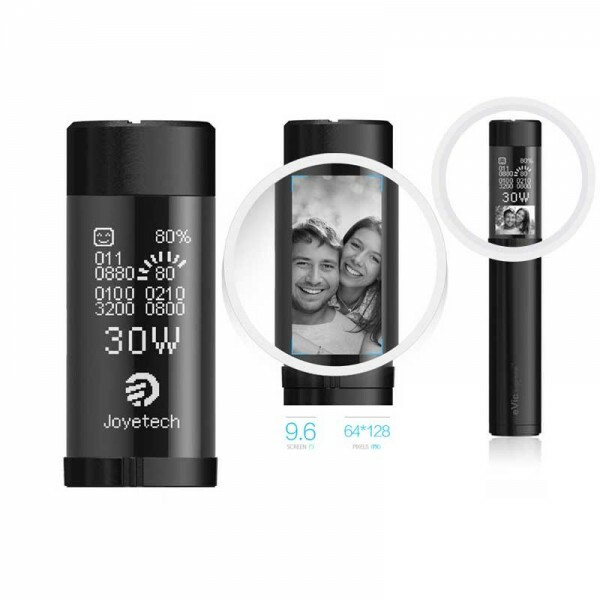 Maximum output wattage: ~30W. 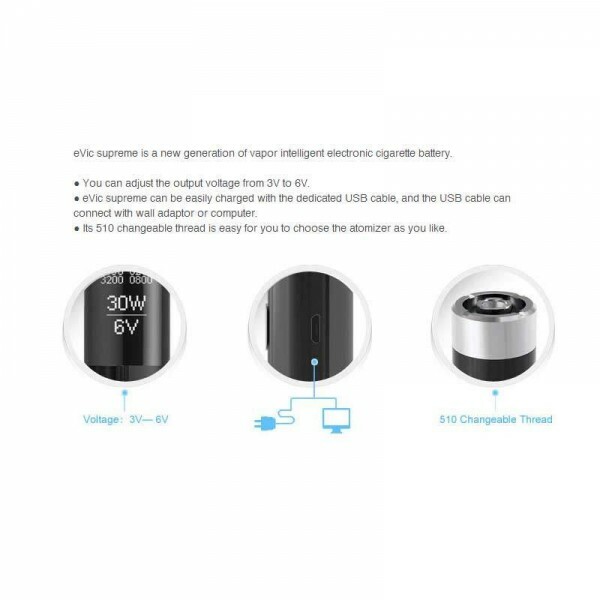 Maximum output voltage: 6V. 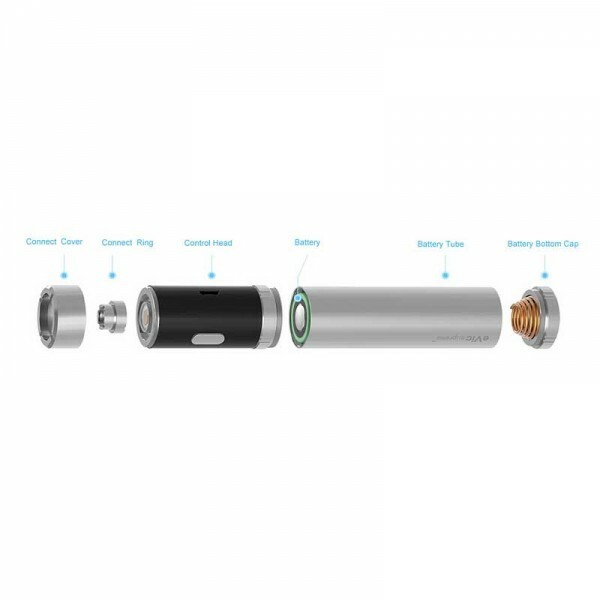 Support 0.5Ω~5Ω atomizer. Upload your pictures. 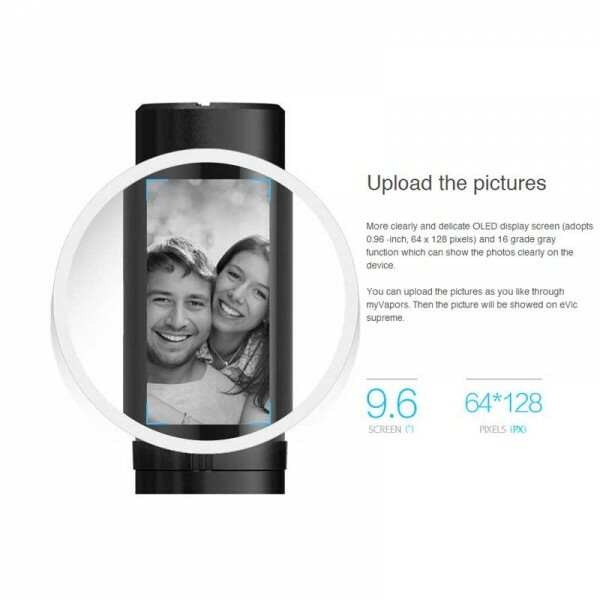 Crisp OLED display screen (adopts 0.96 inch, 64 x 128 pixels) a 16 grade gray function. 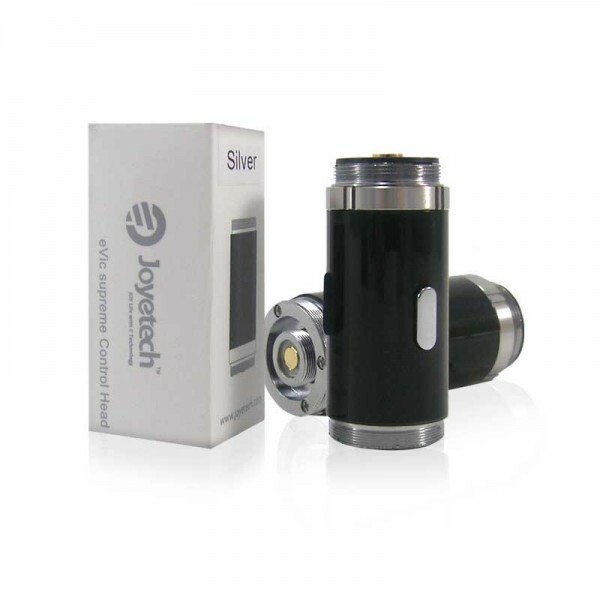 Upload..
Joyetech eVic Supreme Control Head. a 16 grade gray function. 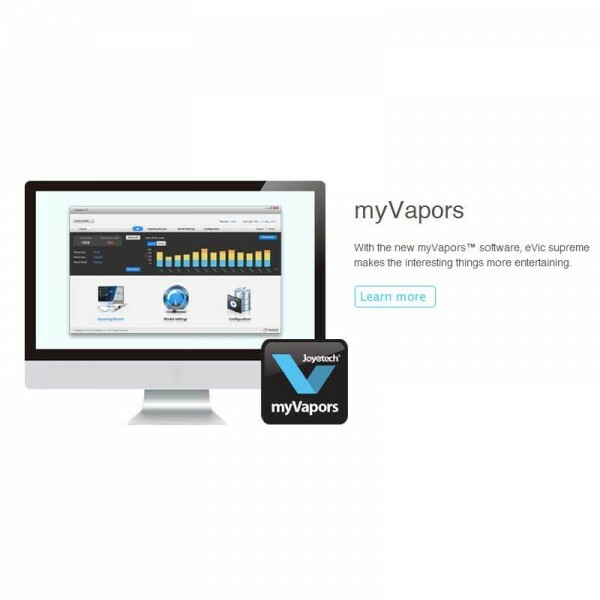 Upload your pictures through myVapors & load them on your eVic Supreme.